Exxon (NYSE: XOM) CEO Rex Tillerson issued this calm guidance to investors and oil drillers, as his company announced it was shifting gears for spending last year. Like much of the industry, Exxon has felt pain on the balance sheet and in the markets because of the drop in oil prices over the last sixteen months or so. However, as companies cut spending, many of them claim they will boost production, which is setting up the U.S. oil market for a huge crisis — one that could be even worse than the bear market at its height in December 2014. According to Tillerson, “There’s a lot of supply out there. And I don’t see a particularly healthy world economy.” He’s right, but he’s still overly optimistic. Exxon will cut spending by 12% in 2016 but somehow increase production by 7%. Other oil majors such as BP, Chevron, and Royal Dutch Shell have made similar claims, although Shell and BP are cutting CAPEX in a more drastic way. I’m less than convinced. In fact, I’m almost certain they’re forgetting about one big problem that’s brewing while demand continues to flounder. Before the numbers were released last year, analysts anticipated that U.S. crude stocks were going to rise by 4.2 million barrels. 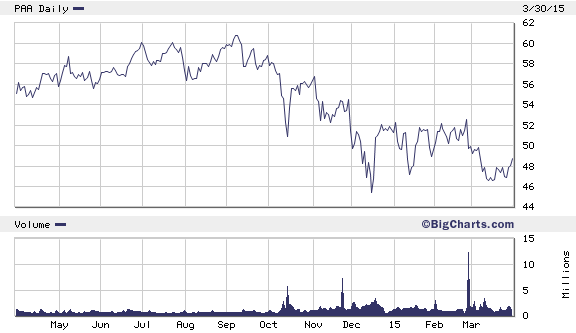 So it must have been a shock when it was announced that stocks rose — in just a week, mind you — by 10.3 million barrels. That’s nearly three times the expectation. In the U.S., companies have been importing and producing more than 1 million barrels of oil per day that doesn’t get refined or sold. It’s simply stored in massive tankers like the ones in the image below. More oil has been put into storage as prices have fallen and the market has entered contango — meaning oil prices will be better in a few months and it is more profitable to store oil and sell it later. But what’s happening now is that U.S. storage capacity is getting dangerously close to full. With the recent increase, the total is now at 444.37 million barrels of our roughly 600-million-barrel capacity. The oil storage hub in Cushing, Oklahoma is at nearly 70% of its capacity, with more barrels in storage now than in the last 80 years. 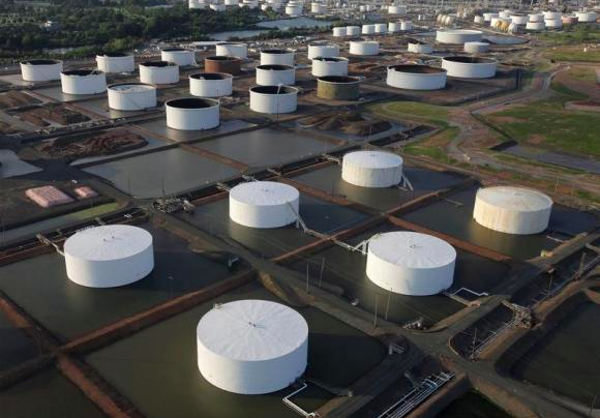 And as these tanks fill up, the industry is going to reach a crucial oversupply point. Experts call it “tank tops,” and it happens when tanks are full. Once the tanks hit this stage, producers will have to stop drilling or sell all of the oil they produce — a grim prospect with demand so low. This means that per-barrel prices will continue to collapse, with some analysts — including Citibank’s commodities head Ed Morse — predicting $20 per barrel, while others suggest worse. I don’t know exactly how far oil could fall, but I do know how investors can take advantage if it does. One analyst, Hillary Stephenson of Genscape, claims that Cushing could be full any day now. Cushing is home to 14% of all storage capacity in the U.S., so any blockage there would initiate panic among producers trying to store unmarketable production. 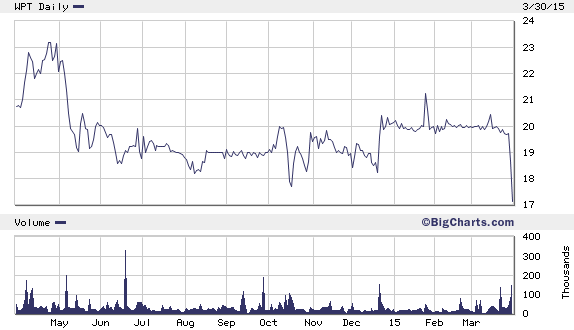 As tanks fill up, oil prices will drop, causing more harm to shares of drillers on the open market and their investors. However, when oil is oversupplied and storage is in high demand, that means the price to store oil is going to go up as space becomes limited. If investors position themselves to take advantage of rising storage premiums, they could see modest gains in the next few months. Smart investors have opened positions in companies with storage capacity in the underserved PADD II region, where the Midwest and Northern Prairie states store their oil. Once capacity gets absorbed, many companies will be paying even more just to keep their oil protected from low prices. Two companies worth looking at are Plains All American Pipeline (NYSE: PAA) and World Point Terminals (NYSE: WPT). Both companies have an outstanding presence in the Midwestern PAD II region I mentioned before, while Plains All American has an exceptional amount of storage — over 10 million barrels — in Cushing. Once the capacity in Cushing hits “tank tops” you can expect the value of the company's business to go up and for your share value to rise as well. The company pays a 6.4% dividend and practically owns east coast storage capacity, with a strong showing in the Midwest too. An investment now could be a great way to boost a portfolio while oil is low and storage demand high.